This entry was posted in Bishop Stopford's School, News on February 21, 2018 by BSSADMIN2. 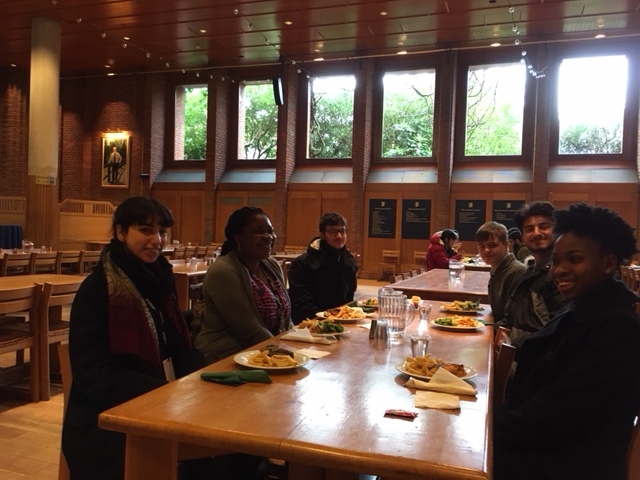 Six members of Year 12 visited Robinson College, Cambridge on Wednesday 10th of January to attend the launch of the Brilliant clubs Scholars Programme. Our students will be visited in school by a PhD student over the next three months for a series of tutorials on his area of scientific research. The students had a very interesting and informative day at Cambridge and are seen here enjoying lunch in Robinson College’s dining hall. This entry was posted in Bishop Stopford's School, News on January 16, 2018 by BSSADMIN2. This entry was posted in Bishop Stopford's School, News on January 15, 2018 by BSSADMIN2.